RapidStudio and CraftRoutes got back in touch with their inner artist in Pretoria last week. 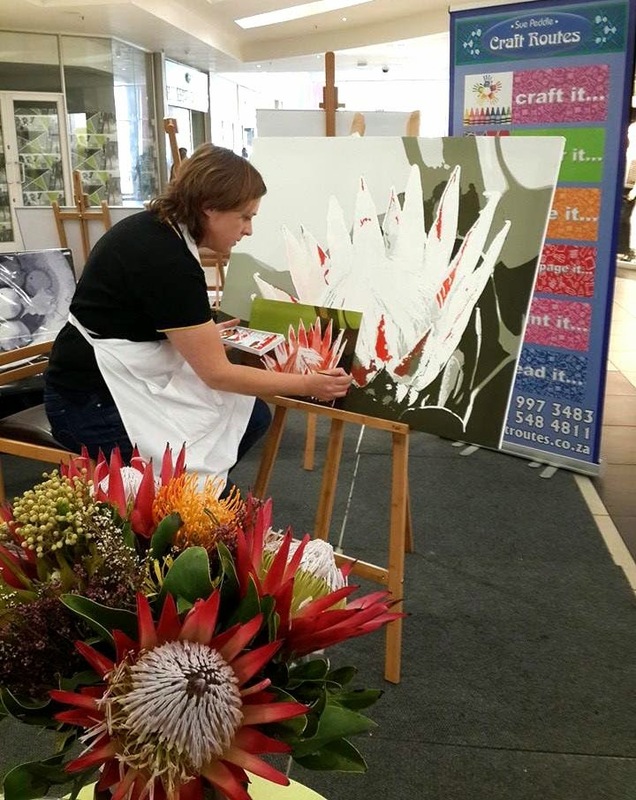 CraftRoutes, a specialist arts and crafts shop in Pretoria, invited Paint-by-Shadow to be the flagship product at their annual exhibition in the Kolonnade Shopping Mall, Montana Park. 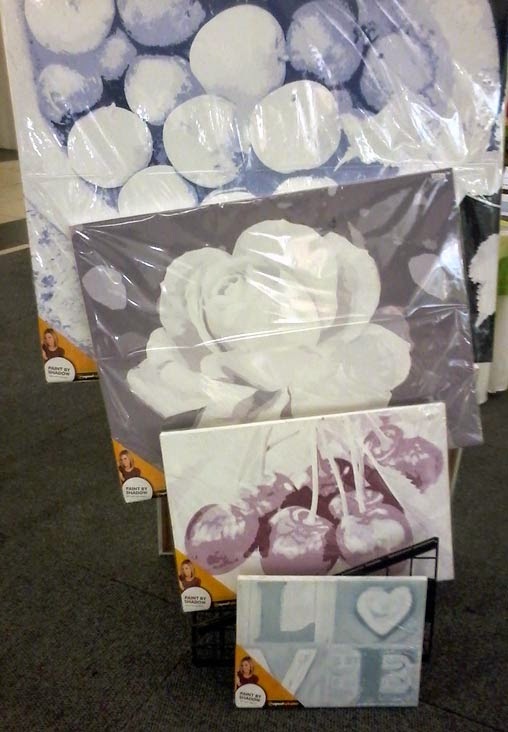 Our largest size (80 x 120 cm) canvas was placed on the stand and throughout the 6 days of exhibiting, the canvas was painted by myself (product developer), Sue Peddle (owner of CraftRoutes) and all the sales staff from the store. 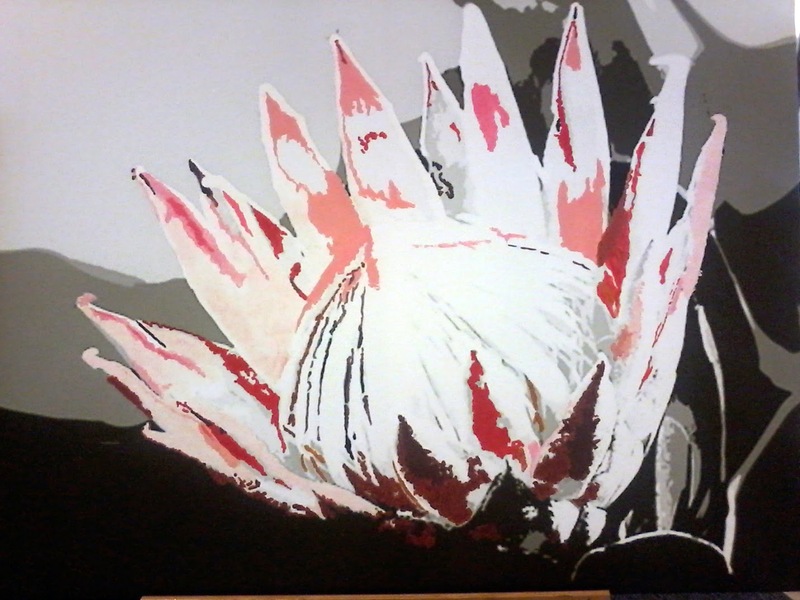 The King Protea image was developed for Sue and her shop, which reflected the mood of Heritage Day. This image also show cases the Proudly South African product Paint-by-Shadow truly is. Have you always wanted to be an artist but thought it was too difficult? We have developed an innovative new product called “Paint-by-Shadow. Paint-by-Shadow is a great starter product that takes any of the initial apprehension and unknowns out of the painting process. 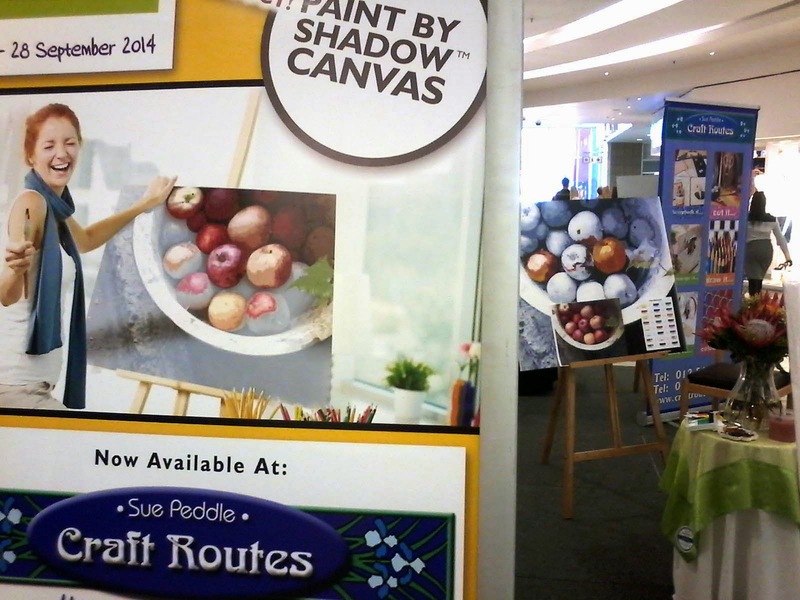 When you buy a Paint-by-Shadow canvas, you receive a "guided journey" to a painted canvas masterpiece. 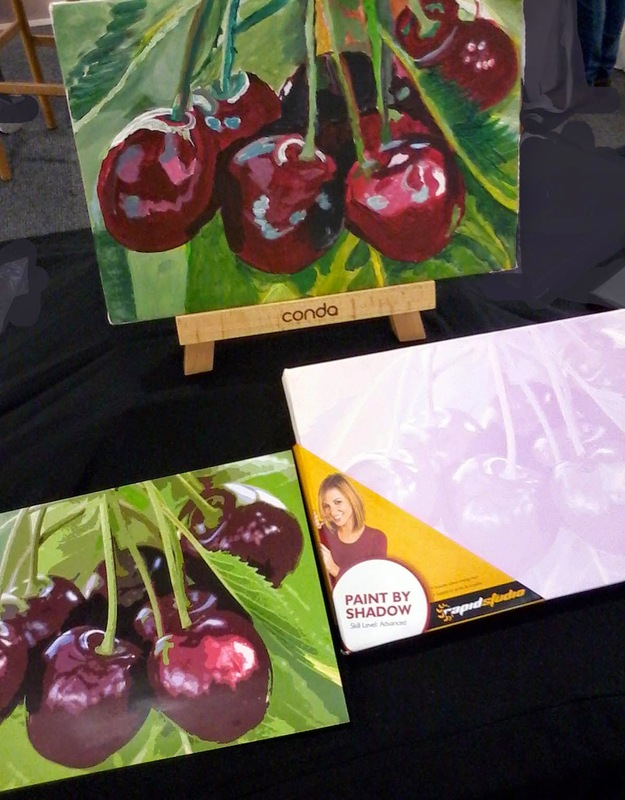 The Paint-by-Shadow pack contains a high quality, hand made stretched canvas and shadow composition of the image you've chosen. Included is a colour mixing chart to guide the way to the desired colours and a "serving suggestion" of a full colour image of the shadow canvas. The "Paint-by-Shadow" range is available in 5 sizes, 200 x 300 mm, 300 x 400 mm, 400 x 600 mm, 600 x 800 mm & 800 x 120 mm. Currently we have 16 designs to choose from, but will be expanding continuously. 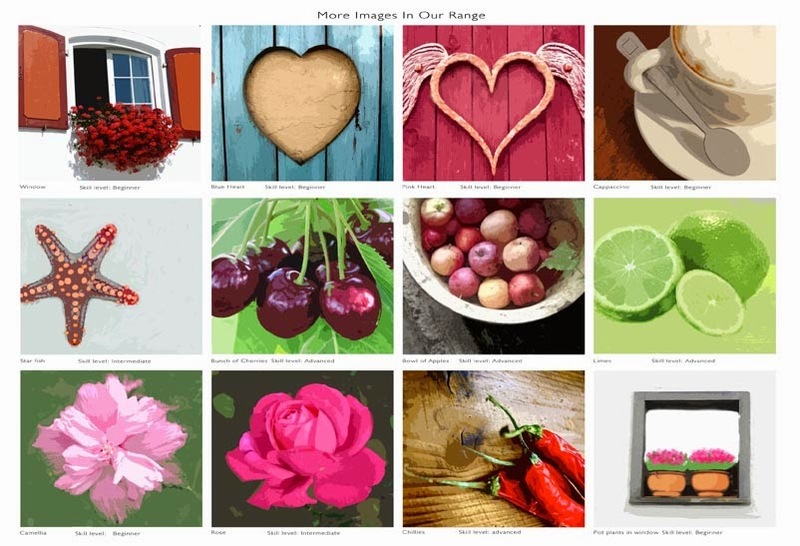 We have images for beginners, and all the way to advanced painting. It is suitable for acrylic and oil paints. With the Kolonadde exhibition being such a success we are off to Craft Routes, Woodlands Centre,Garstfontein next week.